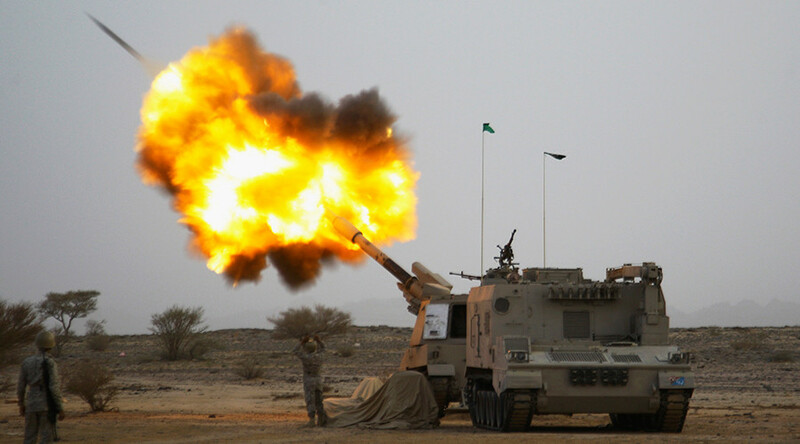 Norway has suspended the export of arms and munitions to the United Arab Emirates over the war in Yemen. The UAE joined the Saudi coalition on day one of the bloody campaign which has killed tens of thousands. “Following a comprehensive assessment of the situation in Yemen, and the increasing risk associated with the United Arab Emirates’ military involvement in Yemen, the Foreign Ministry decided on 19 December 2017 to suspend valid licenses for A-materials (weapons and ammunition) to the United Arab Emirates,” Norway's Foreign Ministry said Wednesday. New export licenses of arms to UAE would not be granted, the ministry added. 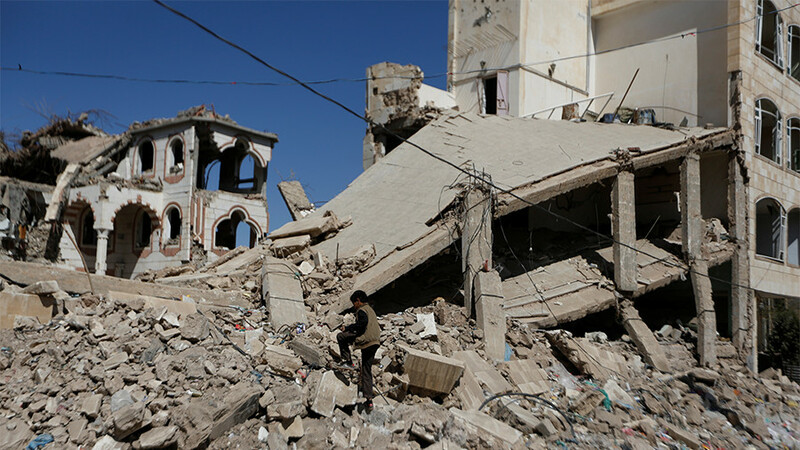 While there's been no reports of Norwegian weapons being used in Yemen, Oslo said the decision was “an expression of the country’s hard line” position on the issue. “Norway generally has very strict legislation and relevant guidelines for exports of weapons, ammunition and other military equipment,” Foreign Minister Ine Eriksen Soreide said. In 2016, Norway’s arms exports to the UAE stood at 79 million Norwegian krone ($9.7 million), according to Statistics Norway data. Oslo, however, still exports weapons and ammunition to Kuwait, another member of the Saudi-led coalition. The conflict in Yemen recently marked 1,000 days since the Saudi-led military intervention in March, 2015. The coalition is waging a military campaign against Shia Houthi rebels in the region in an attempt to propel the ousted Yemeni president Abdrabbuh Mansur Hadi back to power. The UAE has been part of the military intervention from the very first day of military operations and has contributed significantly. Since the start of the offensive, nine states within the Saudi-led coalition have been accused of killing scores of civilians, but have rarely acknowledged responsibility. In January 2017, fatalities exceeded the 10,000 mark and 40,000 injuries, according to UN estimates, with civilians making up a large proportion of the victims. Weddings, hotels, schools and residential buildings have repeatedly become targets of the Saudi-led airstrikes. 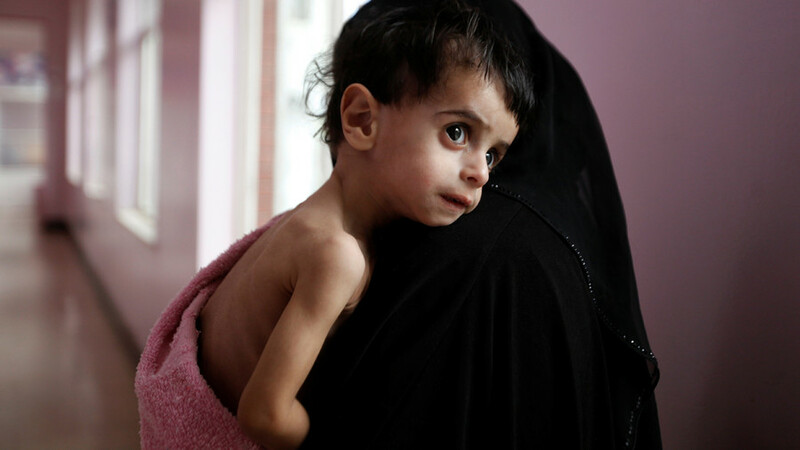 In late December, the UN once again condemned the military intervention in Yemen, saying that three-quarters of Yemenis, including over 11 million children, are in desperate need of humanitarian aid while over half are suffering dire food and water shortages. 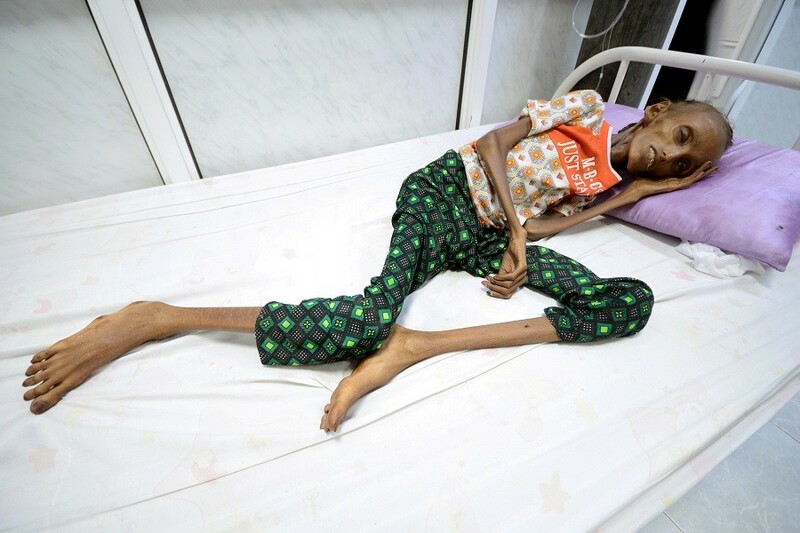 “Yemen is one of the worst places to be a child right now. Since the war escalated, we have verified more 5,000 children were either killed or maimed,” Dr. Meritxell Relano, the UNICEF representative in Yemen told RT. 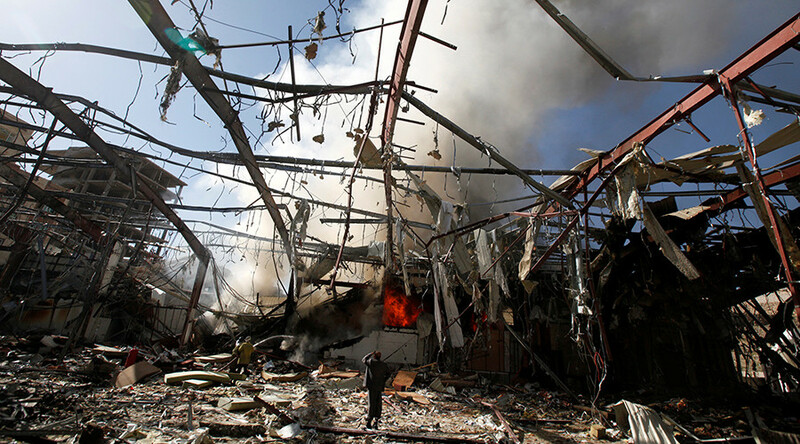 In December, the European Parliament adopted a resolution calling for an EU-wide embargo on arms sales to Saudi Arabia over the alleged war crimes it has committed in Yemen. The measure also criticized member states for selling arms to the Gulf kingdom. Not all countries are following Norway’s example however, and instead, are increasing their arms sales to Saudi-led coalition members. In November this year, Campaign Against Arms Trade (CAAT) said the sale of UK-made bombs and missiles to Saudi Arabia rocketed by almost 500 percent. 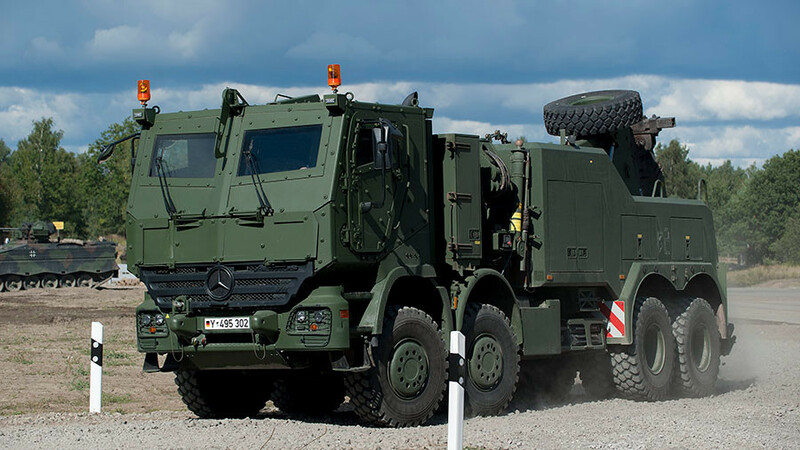 Also in November this year, Germany revealed that the total value of its arms sales to Saudi Arabia and Egypt in the third quarter of 2017 quintupled in comparison to the same period in 2016. The US isn't changing its stance on the Yemeni war either. 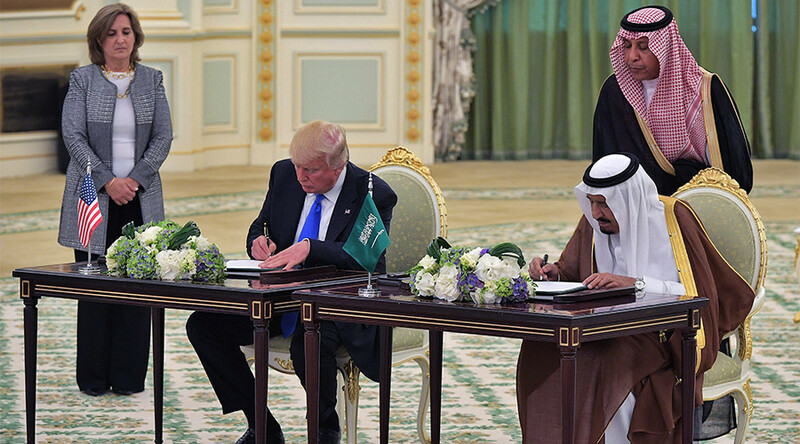 In May, Donald Trump sealed an arms deal with Riyadh worth $350 billion over 10 years, with nearly $110 billion of that agreement taking effect immediately.